Samba for Women is ideal for days when you need to spend time working at the office. Samba for Women 100ml. Eau De Toilette - Enjoy smelling great with this Samba perfume for women by Perfumers Workshop. The elegant fragrance was first introduced in 1987, and it combines a rich, floral mix of notes, including orange, lily, and mandarin, to create a unique smell. The casual scent is ideal for days when you need to spend time working at the office, but it is also great for times when you want to smell nice for someone you care about. 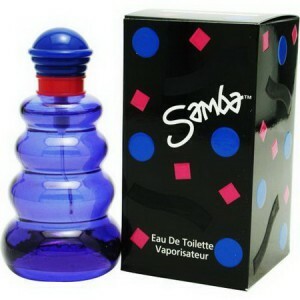 SAMBA was created by Perfumer's Workshop and introduced in 1987. Samba Women fragrance contains orange, mandarin, lily and is accented with freesia, neroli and moss making Samba perfect for daily use. Samba and other genuine fragrances are available at our discount online store with free shipping in Thailand.